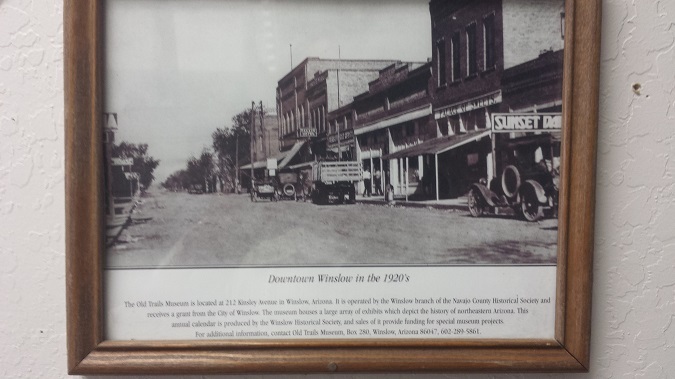 I took a picture of this picture as I passed through Winslow, AZ, on the way home this past weekend. The first picture reminds me of a scene from "The Reivers" where Steve McQueen was charged $6.00 by a farmer to use his team to pull the 1905 Winton through a stream. 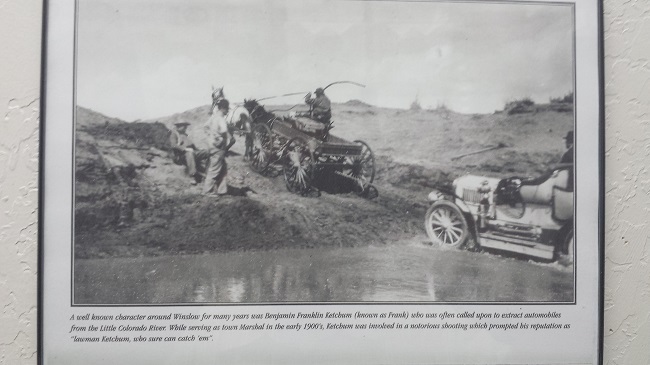 Does anyone know the make and year of the car being pulled? 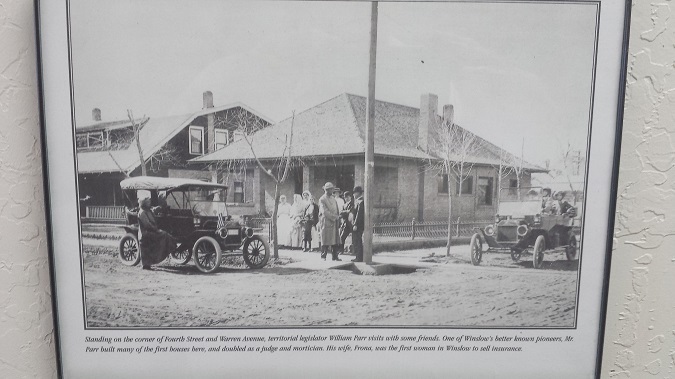 The second picture is of a street scene in Winslow; can anyone identify any of the cars in it? I'm somewhat partial to the third picture because these cars both appear to be '14's. "Standing on a corner in Winslow Arizona..."
Based on driving through there a few years ago - I don't think a whole lot has changed since those pictures were taken. The roads were paved . . . that's about it. Slowin' down to take a look at me." "C'mon baby, don't say maybe. 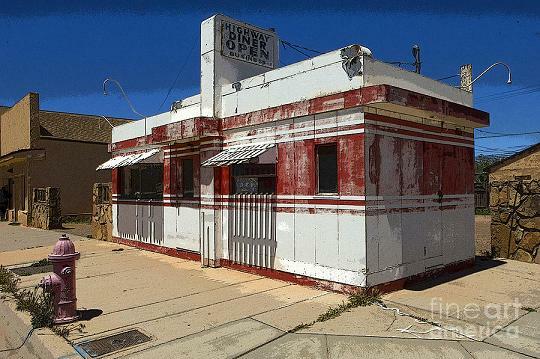 I gotta know if your tin lizzy is gonna save me"
One says she's a friend of mine"
Passed through downtown Winslow AZ in 1970 and I think it was pretty much the same then as the picture from the 20's except the pickup trucks were slightly newer. 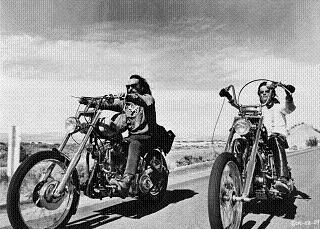 I recall a little diner off the highway and the lady that waited on us never said a single word the whole time we were there she just scowled at us (no coffee refills either)much like a scene from Easy Rider. Maybe folks are friendlier there now in the 21st century.